The National Wetland Trust (NWT) – is a non­profit organisation established in 1999 to increase the appreciation of wetlands and their values by all New Zealanders. We are planning a Wetland Discovery Centre at Rotopiko/Lake Serpentine where visitors can learn about wetlands and experience their special qualities. Find out what’s on for World Wetlands Day 2019. See some stunning New Zealand wetlands in our gallery. You want clean water? Flood or tsunami protection? How about locking up carbon to protect us from climate change? It’s the wetlands that do these for us.. In 1971, the value of wetland sites around the world was formally recognised at the signing of a Wetland Convention in the Iranian town of Ramsar. To date, this is the only international convention on an ecosystem type. The anniversary of the Convention’s signing is celebrated on World Wetlands Day, February 2nd every year. Despite their great natural wealth, wetlands are still largely a forgotten and under-valued habitat. Over 90 percent of New Zealand’s wetlands have been drained or filled. The National Wetland Trust (NWT) is working to reverse this trend, and to increase knowledge, appreciation and understanding of the value of wetlands. 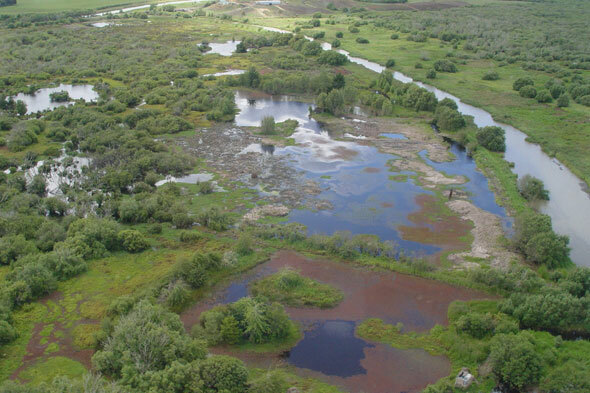 Wetlands are vital in maintaining healthy ecosystems. They improve water quality and reduce flood risks, provide biodiversity and play an important role in managing climate change. The NWT is planning a Wetland Discovery Centre at Rotopiko / Lake Serpentine. It will be a native wildlife haven with research and educational facilities, wetland gardens and heritage trails. Here you will find a range of excellent resources for learning about, restoring or teaching about New Zealand wetlands. We run national conferences every two years. We want to see as many wetland events being run across the country as possible, getting people into these uniquely beautiful environments. If you have an idea for a wetland event, please let us know. Our trustees and members are at the forefront of cutting edge wetland science. We also encourage students to research wetlands through our Golden Plover awards. Stay informed about our wetlands with the latest news including information on wetland restoration projects. Our goals are urgent - over 90% of New Zealand’s wetlands have been lost. There’s much to do to protect and restore wetlands, and we need your support now more than ever. We are always looking for new ways to partner with organisations that build long-term relationships focused on our mutual goals. Let’s talk about what we could achieve together.